Are you looking for a new garage door for your Washington, DC metropolitan area home? 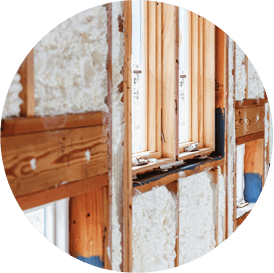 Count on the expert team at Accurate Insulation to supply a high quality product and perform a professional installation. What do you want your new garage door to accomplish? 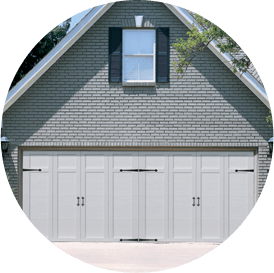 If you’re looking for a solution that’s aesthetically pleasing and will also help make your garage and home more energy-efficient and comfortable year round, insulated, energy-efficient garage doors could be the right answer. More temperate garage: If you use your garage as an at-home gym, craft center or hobby hub, it’s nice if the space stays cool in the summer and warm in the winter. Even if your garage has insulation and drywall, a regular door can ruin the effect, allowing outdoor air to easily permeate the space. Insulated garage doors make a big difference if you’re trying to heat or cool the garage. Lower energy bills: Even if you don’t spend a lot of time in the garage, opening the door that connects the house to the garage lets in a cold gust of air in the winter and a rush of hot, humid air in the summer. Keeping the garage more temperate allows it to act as a buffer between your home and the outside world, helping to keep your energy bills down. Quieter operation: An un-insulated door tends to be louder and is more likely to wake everyone up if someone gets home late or leaves early in the morning. Insulated garage doors rattle significantly less for quieter operation. Durability: An insulation core also serves to strengthen the garage door, decreasing the chance of damage (from a baseball to severe weather). If you think insulated garage doors could be right for your Washington-Baltimore area home, look to Accurate Insulation for great design options and expert installation. We replace broken garage doors on existing homes as well as install new doors in construction projects. Whatever your needs are, we can help find the right Clopay door to add beauty and value to your home. Although our locations are in Upper Marlboro and Hagerstown, we serve the Washington, DC metropolitan area and beyond. Contact us if you want to learn more about our garage door services or if you’re ready to have an insulated garage door installed today!